To those girls who rock, we salute you! 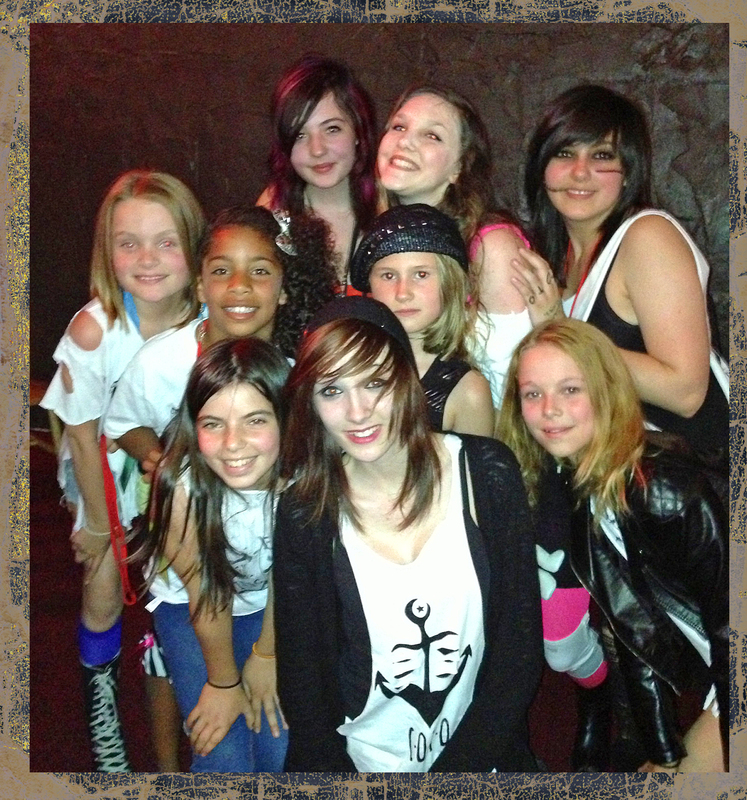 Rock `n’ Roll Camp for Girls was a great experience for our daughter (11), who in one week formed a band, wrote a song, created a band T-shirt, drew a zine, and totally blew the minds of all in attendance at a sold-out showcase at the Alberta Rose Theater. The camp, for girls 8-17, covered many aspects of the rock band experience – music lessons, self-defense classes, photo-shoots, and back-stage credentials, to name only a few. I very much like the idea that there were no prerequisites for this camp, the girls didn’t need to know how to play an instrument or sing or even like rock music. All that was needed was an itch for self-expression, however defined. And express themselves they did. Here are a list of the bands and the songs showcased. You’re so jealous you’ll never be the queen! Neon Cola is the soundtrack to my thrashing summer!